TunnelStateData is the state engine performing the tasks for setup of a TCP tunnel from an existing open client FD to a server then shuffling binary data between the resulting FD pair. Definition at line 68 of file tunnel.cc. Definition at line 296 of file tunnel.cc. References al, ClientHttpRequest::al, assert, client, Server::clientConnection, AccessLogEntry::HttpDetails::clientRequestSz, AccessLogEntry::HttpDetails::code, comm_add_close_handler(), commCbCall(), commSetConnTimeout(), Config, TunnelStateData::Connection::conn, debugs, Comm::Connection::fd, ClientHttpRequest::getConn(), http, AccessLogEntry::http, SquidConfig::lifetime, logTag_ptr, ClientHttpRequest::logType, ClientHttpRequest::out, MessageSizes::payloadData, TunnelStateData::Connection::readPendingFunc, request, ClientHttpRequest::request, server, ClientHttpRequest::Out::size, TunnelStateData::Connection::size_ptr, status_ptr, SquidConfig::Timeout, tunnelClientClosed, tunnelDelayedClientRead, tunnelDelayedServerRead, tunnelTimeout, ClientHttpRequest::uri, url, and xstrdup. Referenced by switchToTunnel(), and tunnelStart(). Definition at line 322 of file tunnel.cc. References assert, debugs, noConnections(), savedError, serverDestinations, url, and xfree. Definition at line 96 of file tunnel.cc. References Ssl::bumpStep1, conn, HttpRequest::flags, RequestFlags::forceTunnel, ClientHttpRequest::getConn(), RequestFlags::intercepted, RequestFlags::interceptTproxy, noteConnectFailure(), notePeerReadyToShovel(), NULL, ConnStateData::serverBump(), startConnecting(), Ssl::ServerBump::step, and CbcPointer< Cbc >::valid(). Referenced by notePeerReadyToShovel(), and tunnelEstablishmentDone(). Definition at line 992 of file tunnel.cc. References al, assert, asyncCall(), callback, CbcPointer< Cbc >::clear(), Config, TunnelStateData::Connection::conn, TunnelStateData::Connection::delayId, Security::EncryptorAnswer::error, error(), CbcPointer< Cbc >::get(), SquidConfig::lifetime, request, sendError(), server, AsyncJob::Start(), SquidConfig::Timeout, tunnelEstablishmentDone(), and waitingForConnectExchange. Definition at line 974 of file tunnel.cc. References al, asyncCall(), callback, TunnelStateData::Connection::conn, connectedToPeer(), Comm::Connection::getPeer(), Store::nil, p, request, server, and AsyncJob::Start(). Definition at line 501 of file tunnel.cc. References TunnelStateData::Connection::buf, commCbCall(), debugs, HERE(), NULL, and TunnelStateData::Connection::write(). Referenced by copyClientBytes(), copyServerBytes(), readClient(), readServer(), and tunnelStartShoveling(). Definition at line 697 of file tunnel.cc. References TunnelStateData::Connection::buf, TunnelStateData::Connection::bytesIn(), client, SBuf::consume(), copy(), copyRead(), keepGoingAfterRead(), SBuf::length(), Comm::OK, preReadClientData, SBuf::rawContent(), ReadClient(), server, and WriteServerDone(). Referenced by tunnelStartShoveling(), and writeServerDone(). Definition at line 678 of file tunnel.cc. 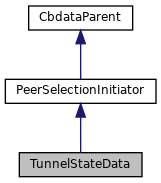 References assert, TunnelStateData::Connection::buf, TunnelStateData::Connection::bytesWanted(), comm_read(), commCbCall(), TunnelStateData::Connection::conn, TunnelStateData::Connection::delayedLoops, eventAdd(), TunnelStateData::Connection::len, TunnelStateData::Connection::readPending, and TunnelStateData::Connection::readPendingFunc. Referenced by copyClientBytes(), copyServerBytes(), tunnelDelayedClientRead(), and tunnelDelayedServerRead(). Definition at line 711 of file tunnel.cc. References TunnelStateData::Connection::buf, TunnelStateData::Connection::bytesIn(), client, SBuf::consume(), copy(), copyRead(), keepGoingAfterRead(), SBuf::length(), Comm::OK, preReadServerData, SBuf::rawContent(), ReadServer(), server, and WriteClientDone(). Referenced by tunnelStartShoveling(), and writeClientDone(). Definition at line 91 of file tunnel.cc. References TunnelStateData::Connection::conn, Comm::Connection::getPeer(), CachePeer::host, AnyP::Uri::host(), NULL, server, and HttpRequest::url. Referenced by switchToTunnel(), and tunnelConnectDone(). Updates state after reading from client or server. Returns whether the caller should use the data just read. Definition at line 458 of file tunnel.cc. References cbdataReferenceValid(), Comm::Connection::close(), commCbCall(), commSetConnTimeout(), Config, TunnelStateData::Connection::conn, debugs, TunnelStateData::Connection::error(), HERE(), Comm::IsConnOpen(), TunnelStateData::Connection::len, SquidConfig::read, SquidConfig::Timeout, and tunnelTimeout. Referenced by copyClientBytes(), copyServerBytes(), readClient(), and readServer(). Definition at line 1144 of file tunnel.cc. References client, TunnelStateData::Connection::conn, Comm::IsConnOpen(), and server. Referenced by tunnelClientClosed(), tunnelServerClosed(), and ~TunnelStateData(). Definition at line 851 of file tunnel.cc. References assert, conn, debugs, FwdState::EnoughTimeToReForward(), Comm::Connection::getPeer(), peerConnectFailed(), savedError, sendError(), serverDestinations, startConnecting(), startTime, and PeerSelectionInitiator::subscribed. Referenced by clientExpectsConnectResponse(), and tunnelConnectDone(). Definition at line 1027 of file tunnel.cc. References assert, serverDestinations, startConnecting(), and usePinned(). Definition at line 1050 of file tunnel.cc. References al, ERR_CANNOT_FORWARD, RefCount< C >::getRaw(), Must, request, savedError, Http::scServiceUnavailable, sendError(), serverDestinations, and PeerSelectionInitiator::subscribed. Definition at line 821 of file tunnel.cc. References client, clientExpectsConnectResponse(), commCbCall(), conn_established, Http::scOkay, status_ptr, tunnelConnectedWriteDone(), tunnelStartShoveling(), and TunnelStateData::Connection::write(). Referenced by clientExpectsConnectResponse(), tunnelConnectDone(), and tunnelEstablishmentDone(). Definition at line 424 of file tunnel.cc. References assert, cbdataReferenceValid(), and readClient(). Referenced by copyClientBytes(), and tunnelDelayedClientRead(). Definition at line 433 of file tunnel.cc. References TunnelStateData::Connection::bytesIn(), client, StatCounters::client_http, TunnelStateData::Connection::conn, copy(), debugs, TunnelStateData::Connection::delayedLoops, Comm::ERR_CLOSING, HERE(), StatCounters::kbytes_in, keepGoingAfterRead(), len, server, statCounter, and WriteServerDone(). Definition at line 379 of file tunnel.cc. References assert, cbdataReferenceValid(), debugs, HERE(), and readServer(). Referenced by copyServerBytes(), and tunnelDelayedServerRead(). Definition at line 389 of file tunnel.cc. References StatCounters::all, TunnelStateData::Connection::bytesIn(), client, TunnelStateData::Connection::conn, copy(), debugs, TunnelStateData::Connection::delayedLoops, Comm::ERR_CLOSING, HERE(), HttpRequest::hier, keepGoingAfterRead(), len, HierarchyLogEntry::notePeerRead(), StatCounters::other, request, StatCounters::server, server, statCounter, and WriteClientDone(). Definition at line 1071 of file tunnel.cc. References assert, debugs, error(), and savedError. Starts sending the given error message to the client, leading to the eventual transaction termination. Call with savedError to send savedError. Definition at line 1082 of file tunnel.cc. References assert, ErrorState::callback, ErrorState::callback_data, client, TunnelStateData::Connection::conn, debugs, errorSend(), HttpRequest::hier, ErrorState::httpStatus, request, savedError, status_ptr, HierarchyLogEntry::stopPeerClock(), PeerSelectionInitiator::subscribed, and tunnelErrorComplete. Referenced by connectedToPeer(), noteConnectFailure(), noteDestinationsEnd(), tunnelEstablishmentDone(), and usePinned(). Definition at line 1106 of file tunnel.cc. References assert, commCbCall(), debugs, GetMarkingsToServer(), RefCount< C >::getRaw(), HttpRequest::hier, request, serverDestinations, Comm::ConnOpener::setHost(), AsyncJob::Start(), HierarchyLogEntry::startPeerClock(), startTime, tunnelConnectDone, and url. Referenced by clientExpectsConnectResponse(), noteConnectFailure(), and noteDestination(). Initiates asynchronous peer selection that eventually results in zero or more noteDestination() calls and exactly one noteDestinationsEnd() call. Definition at line 193 of file peer_select.cc. Referenced by FwdState::start(), and tunnelStart(). Definition at line 782 of file tunnel.cc. References CbcPointer< Cbc >::clear(), clientExpectsConnectResponse(), TunnelStateData::Connection::closeIfOpen(), TunnelStateData::Connection::conn, debugs, error(), CbcPointer< Cbc >::get(), Http::TunnelerAnswer::leftovers, TunnelStateData::Connection::len, LOG_TCP_TUNNEL, logTag_ptr, Must, notePeerReadyToShovel(), Http::TunnelerAnswer::peerResponseStatus, Http::TunnelerAnswer::positive(), preReadServerData, Http::scNone, sendError(), server, Http::TunnelerAnswer::squidError, status_ptr, LogTags::update(), and waitingForConnectExchange. Definition at line 1127 of file tunnel.cc. References al, borrowPinnedConnection(), CBDATA_CLASS_INIT, debugs, ERR_CANNOT_FORWARD, RefCount< C >::getRaw(), Comm::IsConnOpen(), Comm::OK, request, Http::scServiceUnavailable, sendError(), and tunnelConnectDone. Definition at line 564 of file tunnel.cc. References assert, cbdataReferenceValid(), client, NULL, writeClientDone(), and TunnelStateData::Connection::writer. Referenced by copyServerBytes(), readServer(), and tunnelStartShoveling(). Definition at line 594 of file tunnel.cc. References cbdataReferenceValid(), client, StatCounters::client_http, Comm::Connection::close(), TunnelStateData::Connection::conn, copyServerBytes(), TunnelStateData::Connection::dataSent(), debugs, Comm::ERR_CLOSING, TunnelStateData::Connection::error(), HERE(), Comm::IsConnOpen(), StatCounters::kbytes_out, len, Comm::OK, server, and statCounter. Definition at line 511 of file tunnel.cc. References assert, cbdataReferenceValid(), NULL, server, TunnelStateData::Connection::writer, and writeServerDone(). Referenced by copyClientBytes(), and readClient(). Definition at line 521 of file tunnel.cc. References StatCounters::all, cbdataReferenceValid(), client, Comm::Connection::close(), TunnelStateData::Connection::conn, copyClientBytes(), TunnelStateData::Connection::dataSent(), debugs, Comm::ERR_CLOSING, TunnelStateData::Connection::error(), HERE(), HttpRequest::hier, Comm::IsConnOpen(), len, HierarchyLogEntry::notePeerWrite(), Comm::OK, StatCounters::other, request, StatCounters::server, server, and statCounter. Definition at line 88 of file tunnel.cc. Referenced by connectedToPeer(), connectToPeer(), noteDestinationsEnd(), tunnelConnectDone(), TunnelStateData(), and usePinned(). Definition at line 160 of file tunnel.cc. Referenced by copyClientBytes(), copyServerBytes(), noConnections(), notePeerReadyToShovel(), readClient(), readServer(), sendError(), tunnelClientClosed(), tunnelConnectedWriteDone(), tunnelDelayedClientRead(), tunnelErrorComplete(), tunnelServerClosed(), tunnelStartShoveling(), TunnelStateData(), tunnelTimeout(), WriteClientDone(), writeClientDone(), and writeServerDone(). Definition at line 86 of file tunnel.cc. Referenced by tunnelClientClosed(), tunnelConnectedWriteDone(), tunnelServerClosed(), tunnelStartShoveling(), and TunnelStateData(). Definition at line 162 of file tunnel.cc. Referenced by tunnelEstablishmentDone(), tunnelStartShoveling(), and TunnelStateData(). Definition at line 164 of file tunnel.cc. Referenced by copyClientBytes(), and tunnelStartShoveling(). Definition at line 165 of file tunnel.cc. Referenced by copyServerBytes(), switchToTunnel(), and tunnelEstablishmentDone(). Definition at line 87 of file tunnel.cc. Referenced by connectedToPeer(), connectToPeer(), noteDestinationsEnd(), readServer(), sendError(), startConnecting(), tunnelConnectDone(), tunnelServerClosed(), tunnelStart(), TunnelStateData(), usePinned(), and writeServerDone(). Definition at line 214 of file tunnel.cc. Referenced by noteConnectFailure(), noteDestinationsEnd(), saveError(), sendError(), and ~TunnelStateData(). Referenced by connectedToPeer(), connectToPeer(), copyClientBytes(), copyServerBytes(), getHost(), noConnections(), readClient(), readServer(), switchToTunnel(), tunnelClientClosed(), tunnelConnectDone(), tunnelDelayedServerRead(), tunnelErrorComplete(), tunnelEstablishmentDone(), tunnelServerClosed(), tunnelStart(), tunnelStartShoveling(), TunnelStateData(), tunnelTimeout(), writeClientDone(), WriteServerDone(), and writeServerDone(). Definition at line 89 of file tunnel.cc. Referenced by noteConnectFailure(), noteDestination(), noteDestinationsEnd(), startConnecting(), and ~TunnelStateData(). Definition at line 166 of file tunnel.cc. Referenced by noteConnectFailure(), and startConnecting(). Definition at line 161 of file tunnel.cc. Referenced by notePeerReadyToShovel(), sendError(), tunnelConnectedWriteDone(), tunnelEstablishmentDone(), tunnelStartShoveling(), and TunnelStateData(). Definition at line 45 of file PeerSelectState.h. Referenced by noteConnectFailure(), FwdState::noteDestinationsEnd(), noteDestinationsEnd(), FwdState::reforward(), sendError(), FwdState::stopAndDestroy(), and FwdState::useDestinations(). Definition at line 85 of file tunnel.cc. Referenced by startConnecting(), tunnelStart(), TunnelStateData(), and ~TunnelStateData(). Definition at line 168 of file tunnel.cc. Referenced by connectedToPeer(), tunnelEstablishmentDone(), and tunnelStartShoveling().